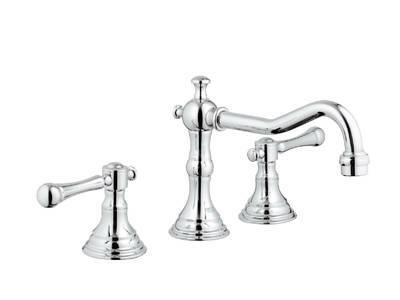 For those who surround themselves with the comfort of a simpler time, Bridgeford completes a traditionally styled bath without sacrificing 21st century performance. 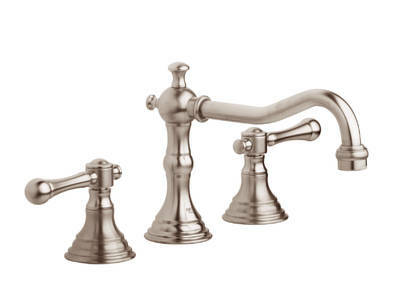 Old-world detailing is perfected on the Bridgeford wideset, vessel faucet, and roman tub fillers, while shower safety valves trim brings modern functionality to a Victorian-styled bath. 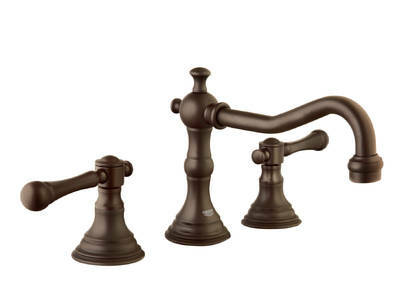 The Bridgeford line features GROHE SilkMove® technology for effortless water control and is available in Grohe’s durable oil rubbed bronze finish, brushed nickel InfinityFinish™, and striking Grohe StarLight® chrome.